MANAMA, BAHRAIN – 2 April, 2019 – Solidarity Bahrain B.S.C., one of the largest insurance companies in the Kingdom of Bahrain, a subsidiary of Solidarity Group Holding, has announced the launch of the first insurance hackathon series under the name of Insurathon in the kingdom of Bahrain with the objective of nurturing talents to meet the evolving needs of the Insurance sector. The first Insurathon will be hosted in collaboration with the University of Bahrain and will be held exclusively for the University’s students. The Insurathon will start on the 11th of April at the university’s campus and will include a dedicated number of workshops and mentor sessions. 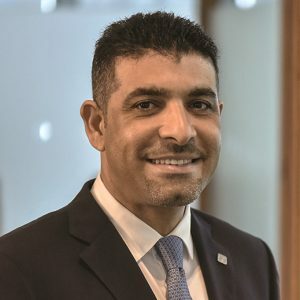 Mr. Jawad Mohammed, CEO, Solidarity Bahrain, stated: “We are excited to host the first Insurathon in Bahrain under the umbrella of our digital transformation and corporate social values initiatives that aims in directing students towards exploring and discovering their skills and how they can be utilized through digital means”. He also added: “This event will create opportunities for students to gain industry insights and address real industry challenges”.